LoftyFiber celebrated their ribbon cutting on Thursday, January 3. 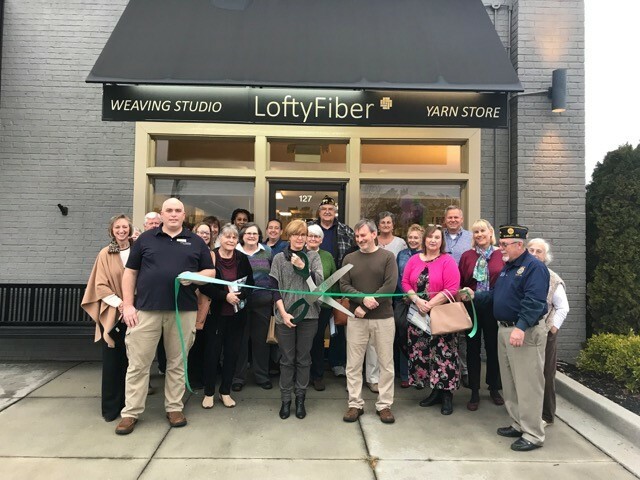 Located at 127 NE Main Street in Easley, LoftyFiber specializes in weaving, spinning, knitting, and weaving technology. At LoftyFiber, find inspiration and the tools to take your craftmanship to the next level. They like to help both beginners and experienced fiber artists to reach their personal lofty goals. They developed TempoTreadle to help achieve error and stree free weaving. They provide high quality looms, spinning wheels and other equipment as well as gorgeous yarns and fibers. Be sure to visit them in Downtown Easley or online at www.loftyfiber.com!